Koh Samui is a haven of repose in south-east Asia - an idyllic island paradise that still maintains enclaves of luxury despite its rapid development over recent decades. Set in the heart of the Andaman Ocean, there are few better ways to explore the majesty of the island – its plethora of secret bays and hidden islets – than via the luxury of your own private yacht. Set sail over the deep azures of the crystalline ocean, gaze back at precipitous limestone cliffs and admire the sheer beauty of your paradisiacal backdrop - and all from the complete privacy of an exclusive maritime vessel. Whether a seafaring captain or weekday sailor, there is a vessel for all experience levels so there is little reason not to take to the seas for a day or two. Sailing boats can be the most tranquil of crafts for exploring the seas, relying mainly on the prevailing winds to ferry you through the seas in complete solitude. If you prefer an independence of direction, motor boats are available and can speed you round the island in no short time, ducking into the harder to reach spots, but perhaps a little costlier. For the experienced, electing for an un-crewed yacht means ultimate privacy, however, not everyone is so confident. Suffice to say, many hardened yachtsmen are on hand to charter the trip, taking control of the vessel, so all you need do is relish the seascape. 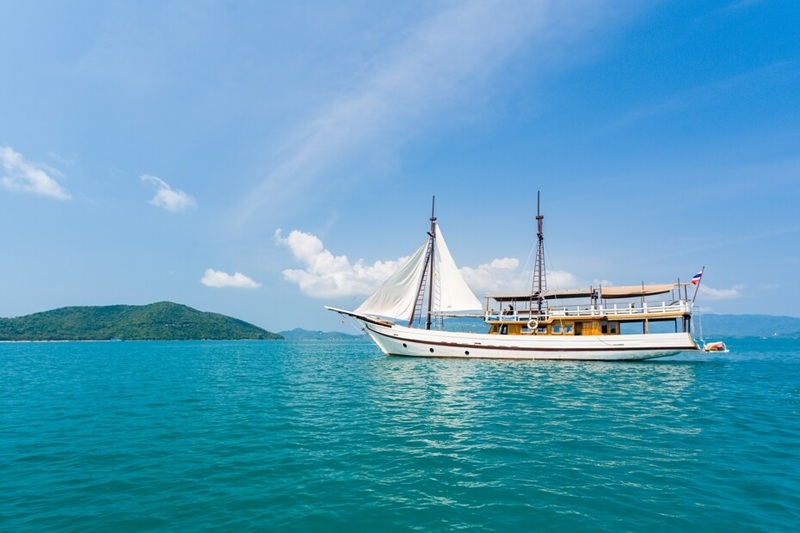 Koh Samui is as well developed as any of the Thai islands and offers several spots from which you can rent a boat. 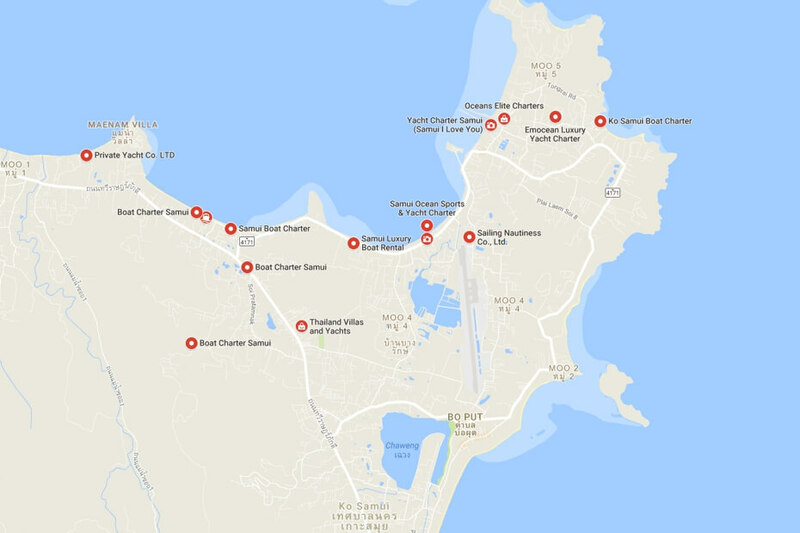 The north-eastern corner of the island – around Bo Phut – is perhaps the most popular, and there are ample companies offering charters; from playful speed boats to more extensive 32-foot yachts and beyond, any requirements can be met so it’s worth reviewing the options before selecting your perfect craft. 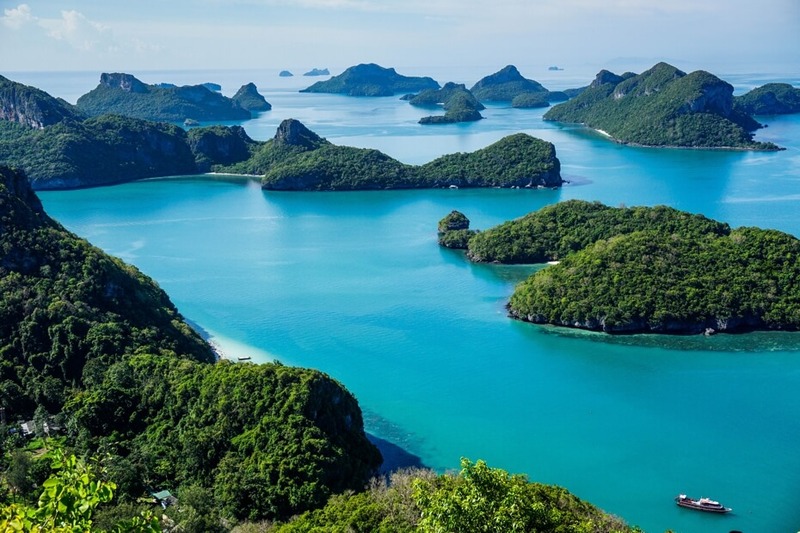 The Andaman Sea is a treasure trove of marine wildlife and boasts some of the most biodiverse ocean topography in the world. Angthong National Marine Park is a spectacular setting with a number of sensational views, whilst also being a great jumping off point for those wishing to explore the nooks and crannies by kayak - the limestone cliffs that rise from the depths of the ocean are a true site to behold. To the south of the island are some of the more secluded beachfronts – empty stretches of powder-soft sand in which you can moor up and swim ashore between the abundant coral reefs. 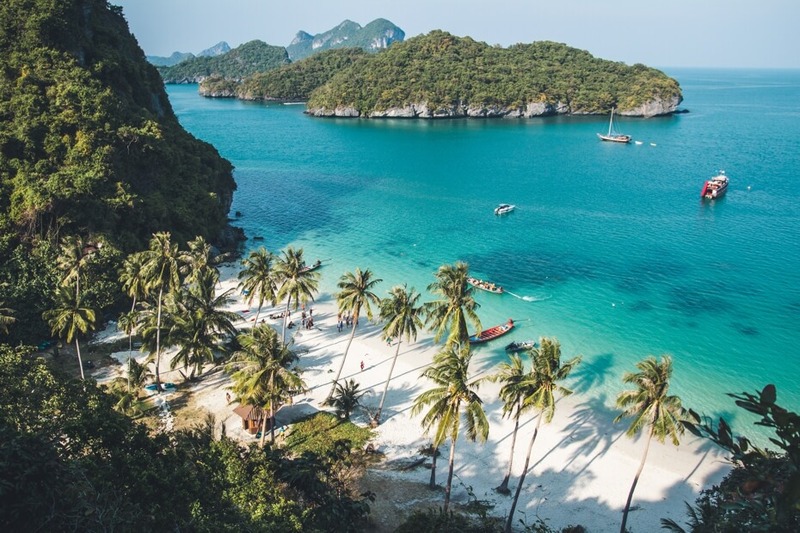 Not too far in the distance, Koh Phangan and Koh Tao are the famed islands that draw in those looking to party but one shouldn’t turn their nose up at these delightfully majestic landscapes. To the west, the Five Islands are a vaunted destination visited by many long-tail boats yet, with so few yachts chartered in the area, there is always scope for privacy as you drift on by. As dreams of the perfect wedding evolve into more adventurous settings, many of the charter companies have opened up their vessels to lavish ceremonies. Adorning the decks with all the glitz one could wish for from their magical day, couples can board the boat with their guests and set off into the Andaman Ocean for their nuptials. With full-service packages available, video shoots, photographers, make-up and hair styling, as well as English-language celebrants, there is perhaps no more exciting a way to pass your special day. Capped off with a buffet delivered in true Thai style, guests are unlikely to have experienced anything quite as unique as a deck-top wedding ceremony. With a number of options available, holiday-makers can easily find a vessel that sits within their budget range. Ang Thong Marine park tours start from around THB 2,500 per person if choosing a motor boat, with simpler private catamarans costing upwards of THB 17,000 and accommodating four passengers. For those interested in a more extravagant indulgence, overnight stays are available on fully-appointed luxury motor boats and catamarans, with private party yachts capable of ferrying large groups of guests around the islands in ultimate style. 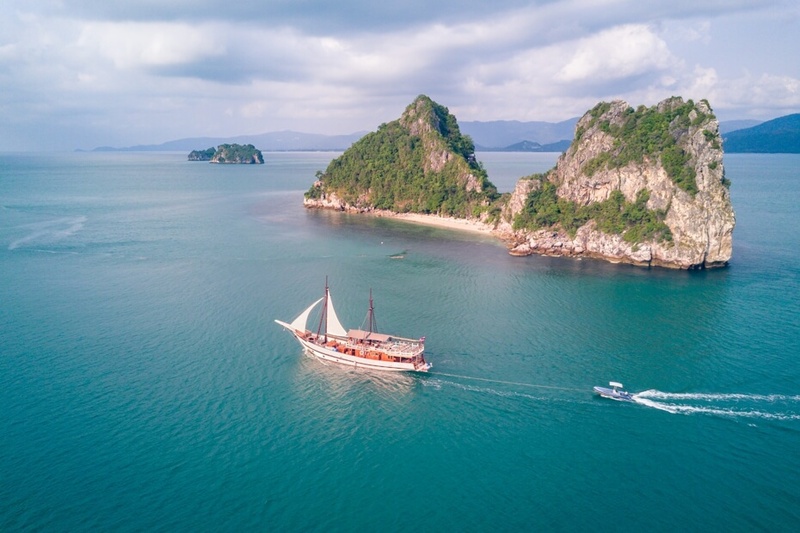 Given the more abundant on-board amenities, these trips could stretch the budget with half days costing well in excess of THB 50,000, and full days or overnights costing from THB 100,000 upwards. But if the purse strings allow, these could be the best days spent in paradise. Koh Samui has evolved into the ultimate in luxury travel destinations, in no short part thanks to the likes of Asia Villas whose portfolio of top-class lodgings welcome in the most discerning travellers. As the island becomes increasingly well-trodden, the seas remain relatively quiet, so maritime adventure can be the perfect way in which to explore in solitude. After the indulgence of your own private yacht, it is worth seeking out the best of the island’s villas, so why not review Asia Villa’s offerings, find your perfect dwelling and get to planning an unbeatable five-star getaway.